How do you plan to spend the Labor Day weekend? Most likely, you’ll be out socializing and enjoying the last shards of summer as you devour a grilled feast and merrily quaff down one too many of your favorite brews. There’s obviously nothing wrong with that sort of revelry, but please remember to take a moment to think about the true meaning of the holiday — and especially how it relates to the diligent but underappreciated working cats of the world. So in honor of Labor Day, here’s a salute to eight esteemed real life jobs for cats that need to be recognized and appreciated on a federal level. Being a bodega cat might be the most popular job for a feline. Found in grubby block corner delis and bodegas across the map, the role is equal parts customer service ambassador and vermin patrol enforcer. 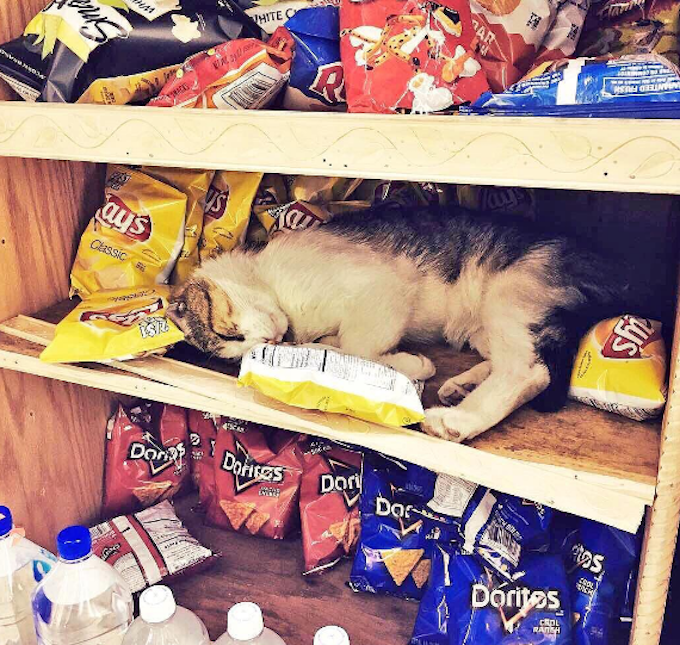 Napping among a stash of Lay’s chips is mandatory. 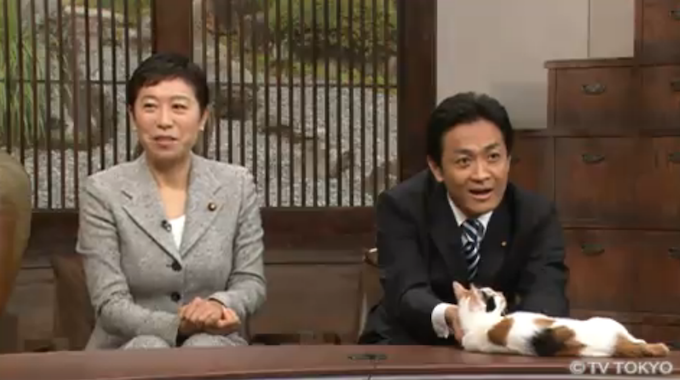 If you’ve even been channel hopping and tuned into TV Tokyo, you might chance across a news discussion program that is co-hosted by a cat. Originally, the show’s on-set feline was a ginger tabby named Maago who was fond of sticking his head in a guest’s mug and stealing their tea while on camera. After Maago passed away in 2014, his position was taken on by Nya Nya (which means “meow” in Japanese), a kitty who was adopted by one of the show’s staff after being left abandoned at a garbage depot. Nya Nya’s highlight reel is immense. 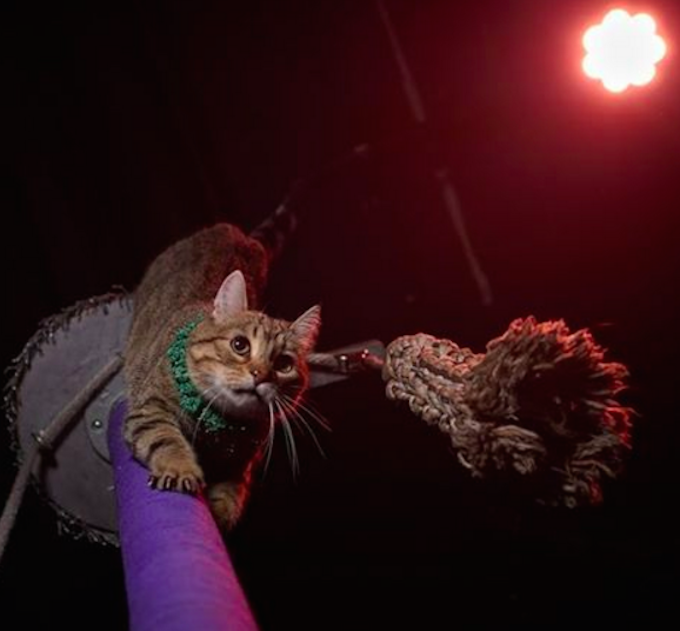 For any particularly outgoing and athletic felines, a career as a circus cat is a natural calling. It’s said that being part of the Acro-Cats troop is the pinnacle of showmanship. Tama was one of the world’s most respected working cats. 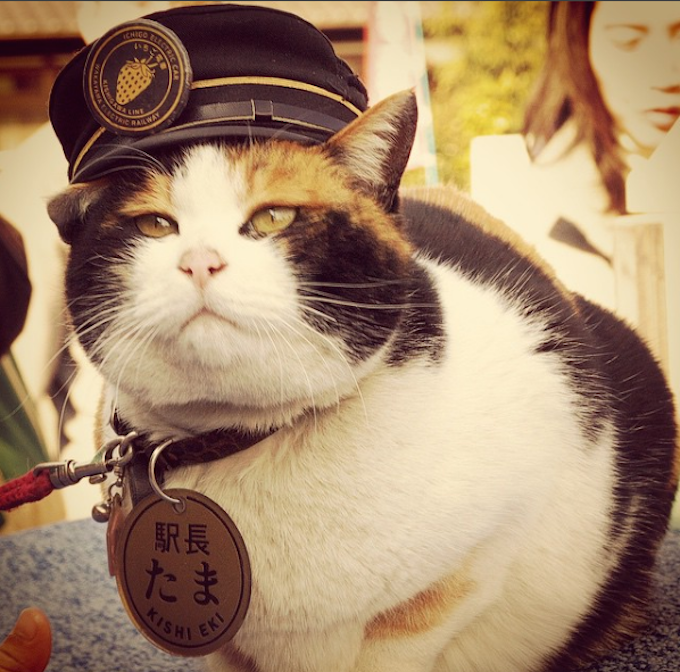 Before she passed away last summer, this Calico held down a role as stationmaster at the Kishi Station in Wakayama, Japan. The former stray became such an attraction that in 2009 a Tama train was launched, while a year later the Kishi station was redesigned to resemble a feline face in recognition of her work. After Tama passed away from heart failure, she was succeeded by Nitama, her able deputy at the station. 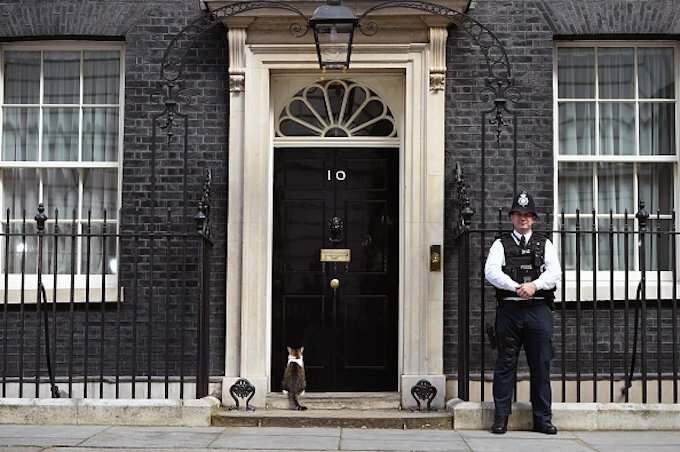 Lately, the fierce back and forth power struggle between Larry, the U.K. Prime Minister’s cat, and Palmerston, the Foreign Office’s resident feline, has provoked much hard-hitting political debate. But both of these upstanding public servants know that a little roughhousing is simply part and parcel of the political process. 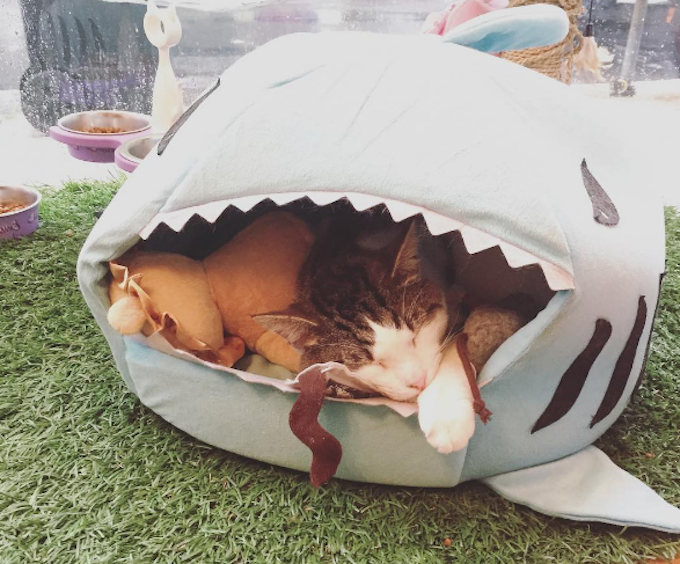 Sure, it may look like being a cat cafe kitty is all about lounging around, receiving petting sessions, and sneaking treats from unwitting visitors. But rest assured, life as a working hospitality cat is hard: Just imagine how long it took Jub Jub (pictured above) to successfully hoard all of the toys for himself! A distinguished and learned position, the library cat enjoys a life of quiet contemplative reflection. 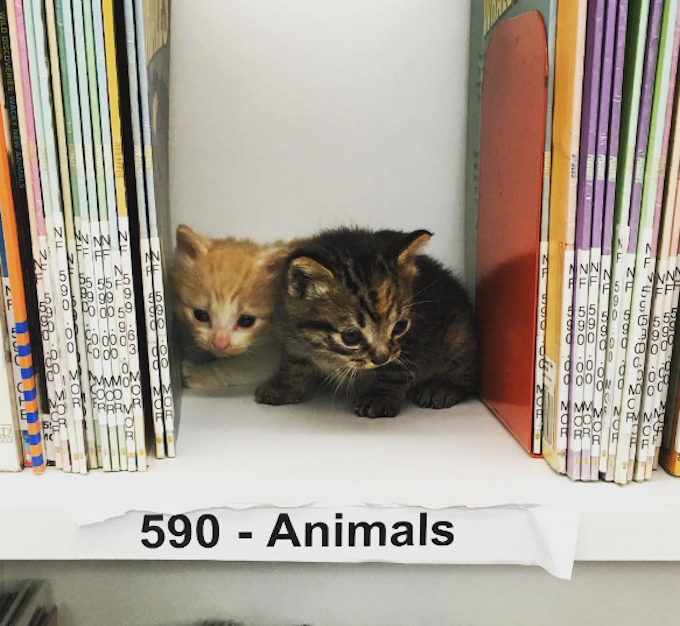 Ability to nap in accordance to the Dewey Decimal System a bonus. Finally, over in the United Kingdom, bars with in-house cats are common occurrences. 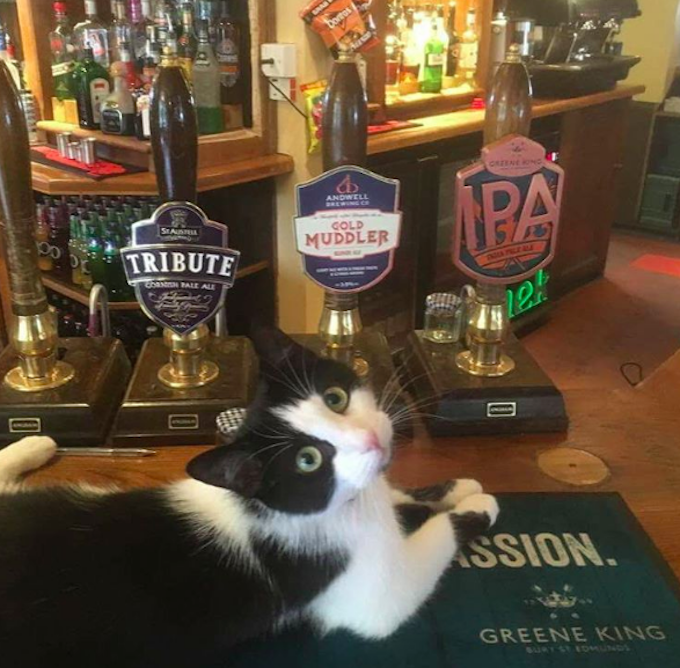 Let the formal record show that a pub with a cat lounging on the actual bar by the beer taps is perhaps the most comforting sight known to us mere humans. Cheers!